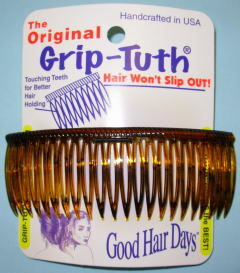 Grip-Tuth® (pronounced Grip-Tooth) Hairtainer sidecombs are the best sidecombs in the world. 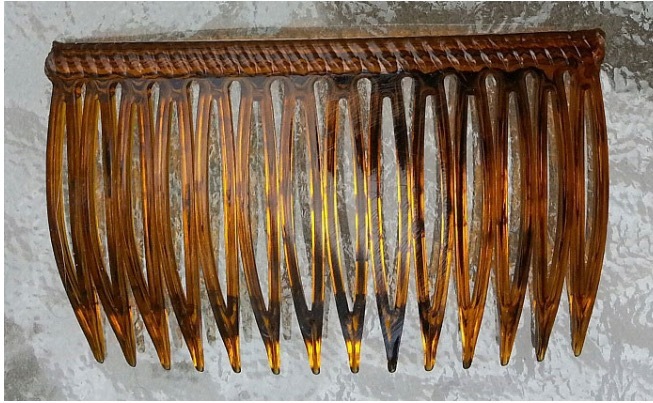 Each Grip-Tuth® sidecomb is handcrafted so its teeth touch through the middle of the comb. 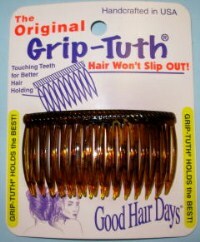 This makes Grip-Tuth® different and better than all other sidecombs. 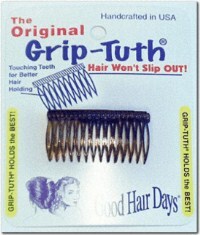 Only Grip-Tuth® combs have touching teeth. The touching teeth g-r-i-p gently, and securely hold all hair types. 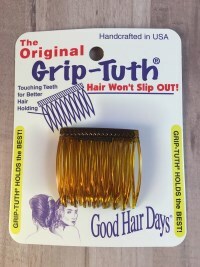 Grip-Tuth® works equally well on fine and thin hair as well as thick, coarse and hard-to-manage hair. 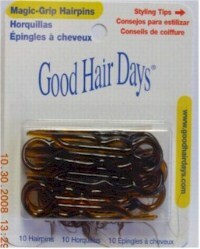 When you insert the sidecomb, your hair gets locked in above the touching teeth, which work like a "flexible spring." Your hair can't slip past the touching teeth. The comb stays put; it's both comfortable and secure. Grip-Tuth products are made in the USA.